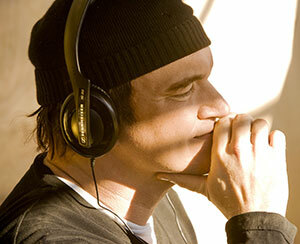 Discover some of Quentin Tarantino’s personal picks in this year’s lineup. It’s love at first sight for Clarence and Alabama. She admits being hired as a call girl by Clarence’s boss as a birthday gift... The fierce and unbridled humor of Tarantino, who wrote the screenplay for his friend Tony Scott, electrifies this amoral and joyous road movie. A gangster escapes from prison and embarks on a mysterious fugitive life. Jean-Louis Trintignant, playing the role of a charming thug, tricks the viewer in this virtuoso thriller. Released from prison where he spent five years, Macklin decides to avenge his brother, who was killed by the Mafia in Chicago. A breathless thriller with Robert Duvall at the top of his form. (See Rolling Thunder below for showtime). When a Vietnam veteran is showered with gifts upon his return, a gang of thieves sees an opportunity to get rich. Another of Tarantino’s Top 10 movies, whose distribution company is called Rolling Thunder Pictures. Tony Baker, a rebellious teenager who plays the bully, arrives at a new high school where he intends to become the leader of dunces and dealers. A gripping drama of American youth of the 50s. An American millionaire hires three bounty hunters to bring Hitler to justice - dead or alive. This little-known film, based on a true story, inspired Tarantino for Inglourious Basterds. A trio of American vaudeville comedians, the Three Stooges (Moe, Larry, and Curly) love pulling gags, each more hilarious than the next. One of Quentin Tarantino’s burlesque favorites. With the help of her somewhat submissive new husband, a strong-willed woman tries to get custody of her children back from her ex-husband. A comedy unjustly forgotten. A narcotics officer (Jeff Bridges) resigns and sinks into alcoholism after shooting a drug dealer. A prostitute (Rosanna Arquette) asks him for protection. An 80s thriller by Hal Ashby. (Screenplay by Oliver Stone).